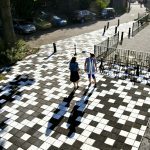 Starting with a fascination for the concrete 30×30 tile, OTO has transformed a square which is located in Lombok district and is surrounded by an old Hamam (bathing house), a district office of the municipality of Utrecht. 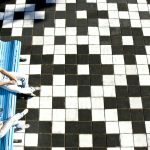 Due to conflicts between developers and local residents and the economic crisis, the area has been neglected for the last 5 years. 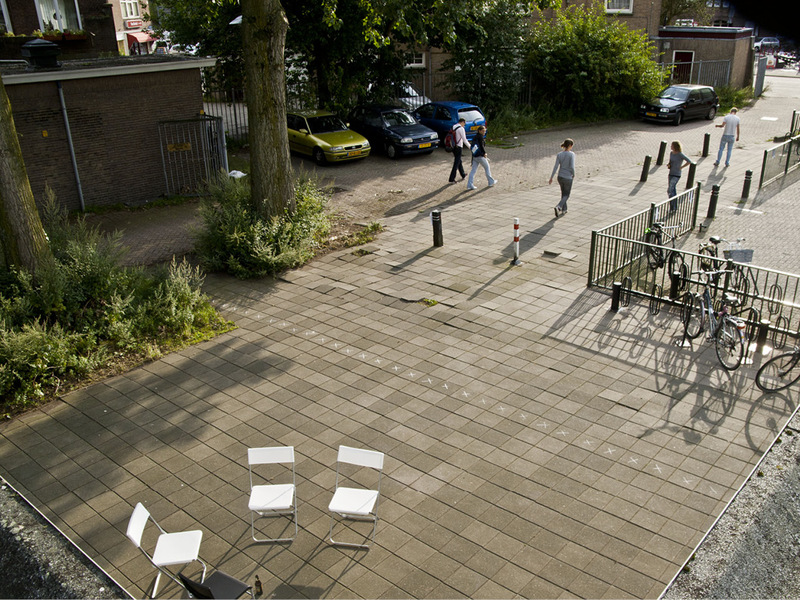 Many buildings are empty and the public space has a poor quality. 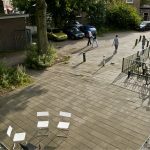 To improve the area while waiting for plans in the future, OTO executed an intervention in the public space which can be an impulse for the area . 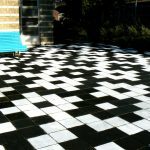 The concrete 30×30 tile is the starting point for the design. 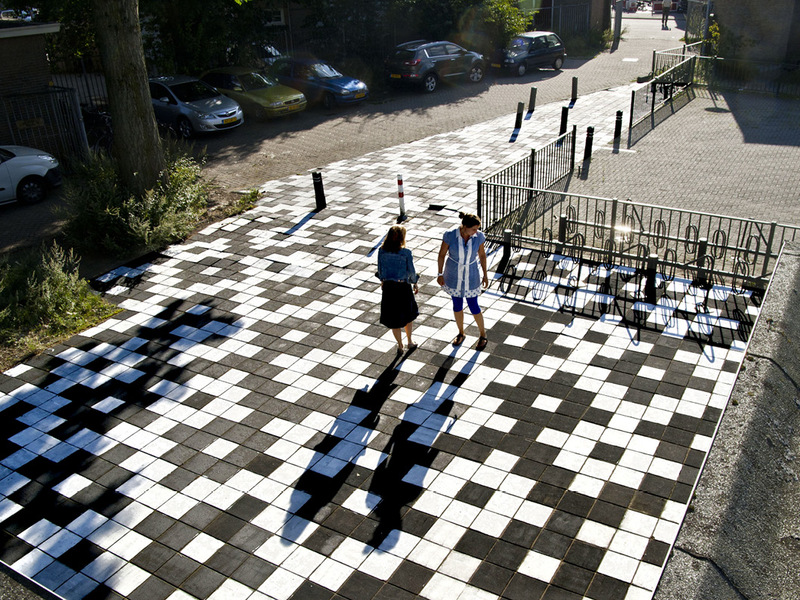 Many public spaces in Holland are paved with this tile, which is used from the ’50s as a standard paving element. 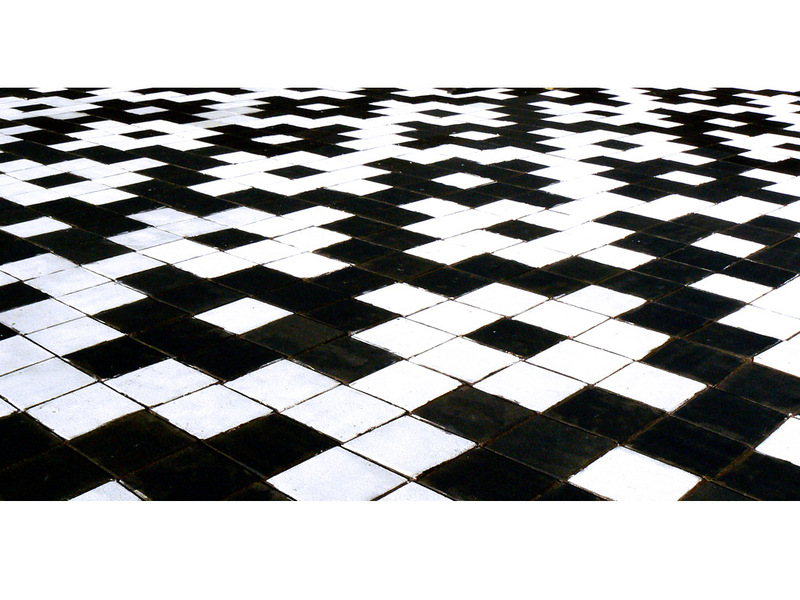 According to OTO it is time to think about ways to transform the tile in simple ways. 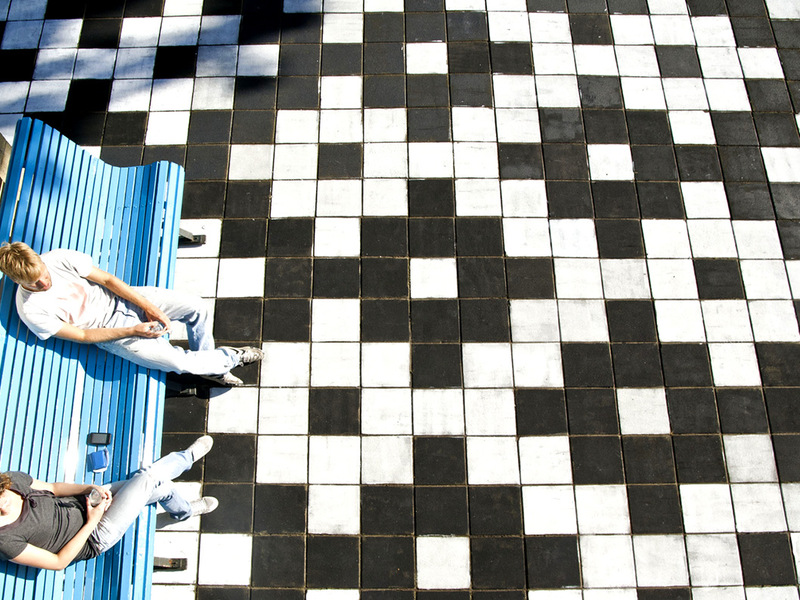 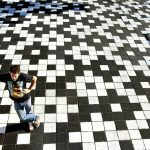 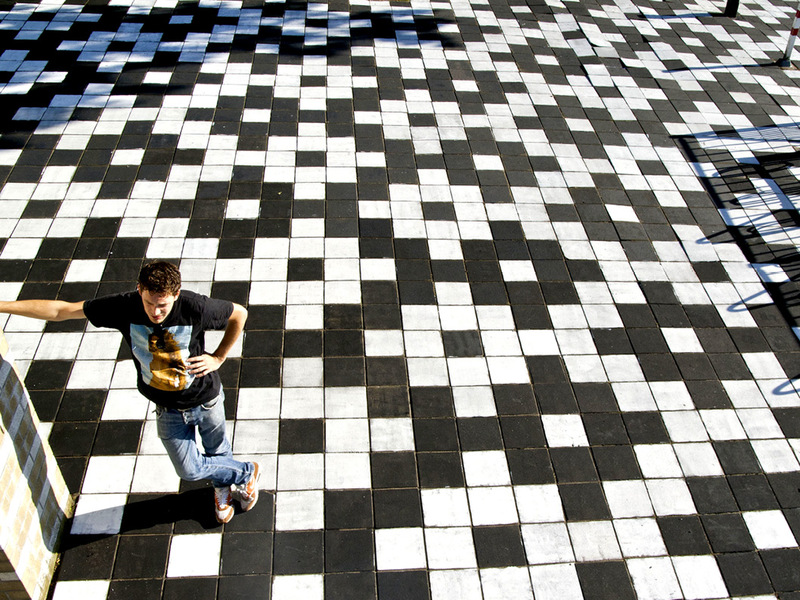 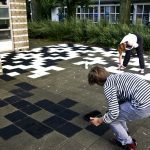 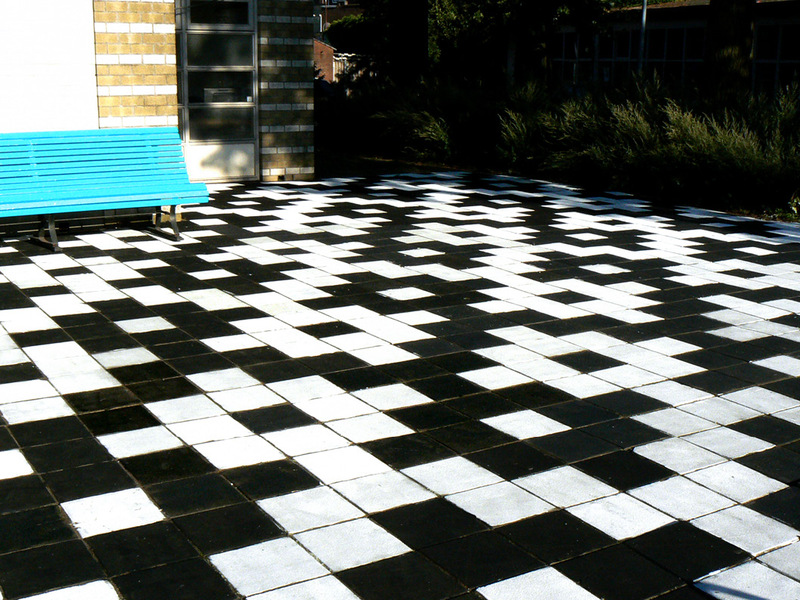 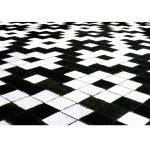 The design for the square consists of a mosaic of painted black and white tiles. 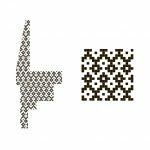 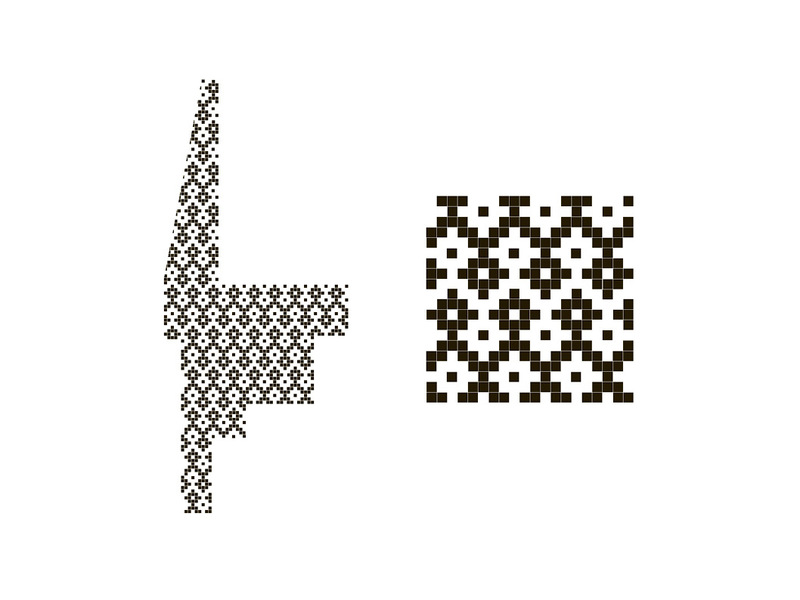 The pattern is a reference to the mosaics in the adjacent Hamam. 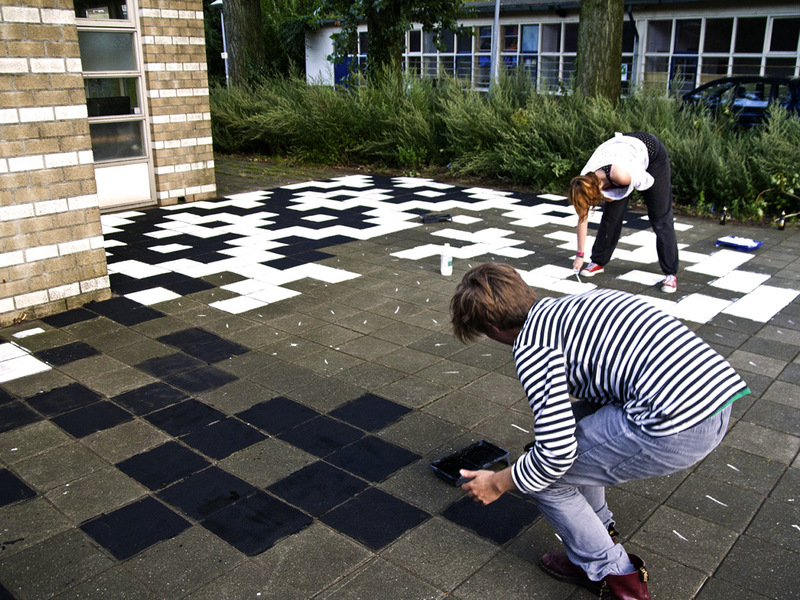 The expressive bright floor of the square invites people from the streets to enter.